The Position Light: New Links! Found a couple of signal related links I thought I'd share. The first is the website of a rail photographer you might recognize from railpictures.net, especially for his night shots of signals in the MD, VA, WV area. I think he has some print books out as well, but if you don't already have them you can enjoy a sample of his work here. The second is more of an update since my old friend at www.redoveryellow.com has finally added some new content. 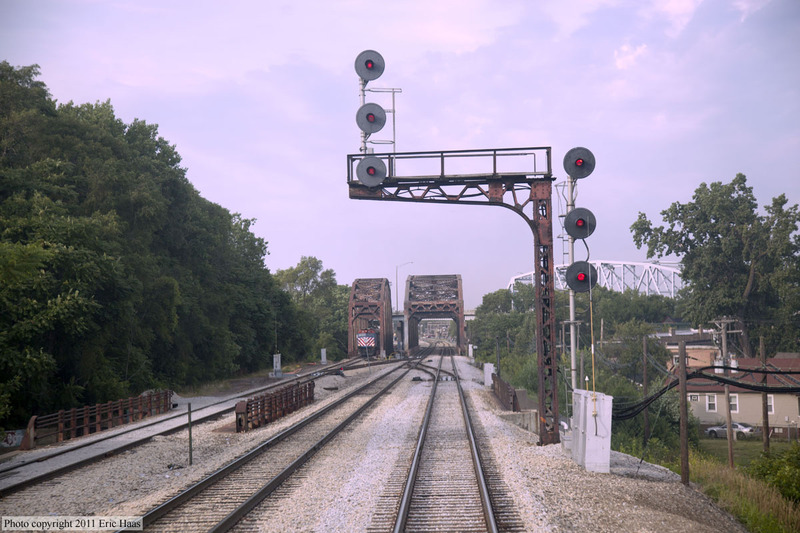 Instead of more western fare the dedicated signal surveyor has posted photo sets from the Chicago area and from the PRR Main Line. Both sets date from the 2011 time frame so ALTO tower is still open. Finally I am not sure how I forgot about this site. SimSig is a freemium model software application that simulates the Wescad type signaling software that has become standardized across the UK rail network. The simulation is top notch and it is the best way to learn about a rather different model of railway signaling then what is present in North America. The forums are also a good resource for UK signaling related information. While all of the "official" release simulations are for sale there are many free user contributed simulations as well so go and give it a try.